A new sign has been erected along Rt. 50 to guide cars and planes into Rosslyn. 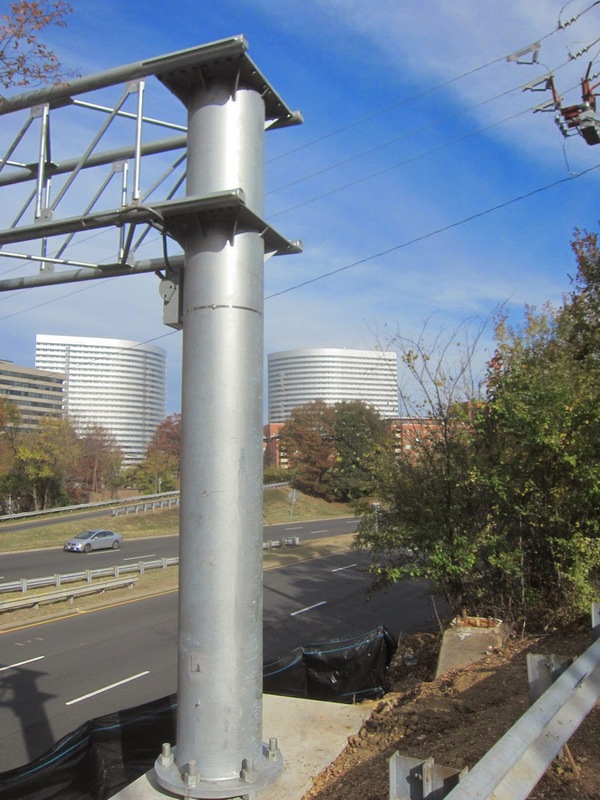 N Lynn St is Rosslyn's monumental parade route that should soon feature luminous bodies. Anticipating that development, the new sign includes lights on a metal rack protruding outward from the bottom of the sign. 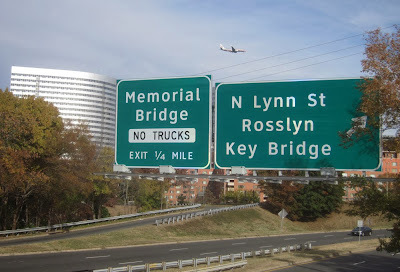 Key Bridge is appropriately at the bottom of the sign, as it's only likely to be of interest to motorists seeking a cross-river view of Rosslyn. Apparently responding to the artistic concerns of a leading local news source, the new sign uses bare-metal piping that matches the color of Rosslyn's silver twin towers. The over-all effect is to create a fantastically stimulating skyscape.